The HyperCore FH High Wall Heat Pumps are the flagship of all heat pumps. Boasting the highest heating performance, this series is ideal for homes and offices in particularly cold areas. The HyperCore FH series was created to provide heating in temperatures below zero. Whilst they perform at a very high standard, Mitsubishi Electric has ensured the HyperCore heat pumps are just as energy efficient as other heat pumps under the brand. HyperCore heat pumps are not only known for their ability to heat in even the coldest conditions, they also come with a range of features unique to Mitsubishi Electric. With features such as the 3D i-See Sensor, Dual Split Vanes, Natural Airflow and Plasma Quad Filtration, the HyperCore FH heat pumps have some of the most advanced functions in the Mitsubishi Electric range. Ordinary heat pumps are designed to produce less heat when temperatures outside drop below 7 degrees. HyperCore is the first of its kind to perform at fully-rated capacity for temperatures right down to -15 degrees. HyperCore FH high wall heat pumps are best suited to areas with extreme temperatures. As New Zealand has a wide variety of climates, HyperCore FH heat pumps are great for colder regions or regions with high humidity. It is unlikely that any part of New Zealand would drop below -15 degrees even in the peak of winter, so your HyperCore FH heat pump would always deliver superior heating performance regardless of the temperature outside. With HyperCore FH heat pumps, you get all the heat you pay for. 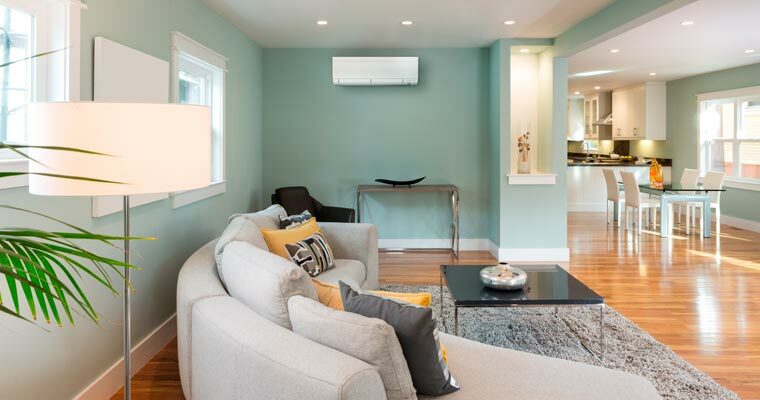 The technology used in these heat pumps make them the best low temperature heat pumps, ensuring you have complete comfort when you need it most. The Mitsubishi Electric HyperCore FH Series comes with the option to upgrade to Wi-Fi control. Contact us to find out more about the HyperCore FH High Wall Heat Pump Series.